The machine was built by Arthur Young to experiment with coaxial configurations, with flapping rotors in close proximity with each other. 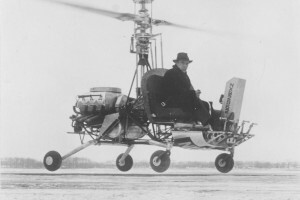 Resources related to the Coaxial Helicopter , provided by the Vertical Flight Society. Resources related to the Coaxial Helicopter , provided by public sources across the internet.